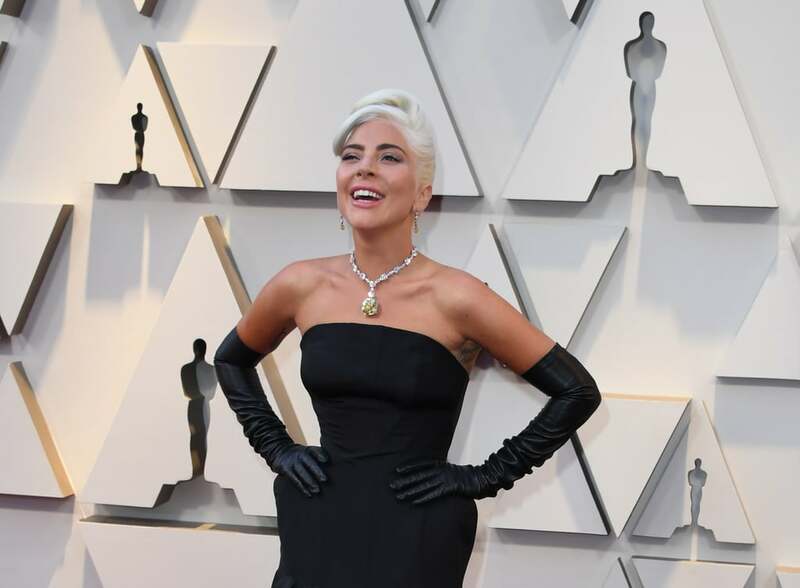 To say that Lady Gaga has been crushing it with her red carpet looks this award season would be an understatement. 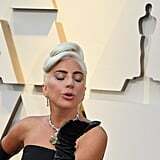 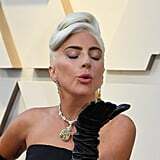 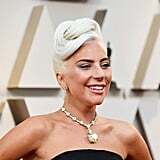 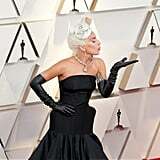 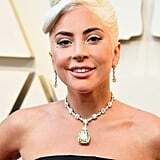 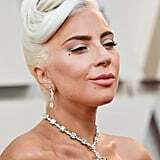 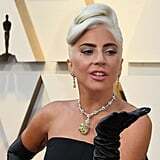 The A Star Is Born actress attended the Oscars wearing a black strapless Alexander McQueen gown, complete with gloves that reminded us of Audrey Hepburn's iconic outfit from Breakfast at Tiffany's. 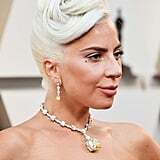 She even accessorized with a 128-karat Tiffany and Co. necklace that hasn't been seen since Audrey Hepburn wore it for the Breakfast at Tiffany's publicity photo shoot in 1961. 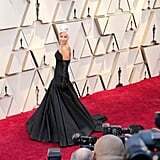 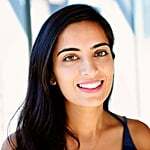 Read on to see her full outfit ahead. 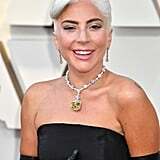 Lady GagaAlexander McQueenCelebrity StyleAward SeasonRed CarpetOscarsTiffany And Co.